Adventures with a Salmon rod: Rained off! In keeping with the rest of the UK we have had a substantial amount of rain here in Dorset. 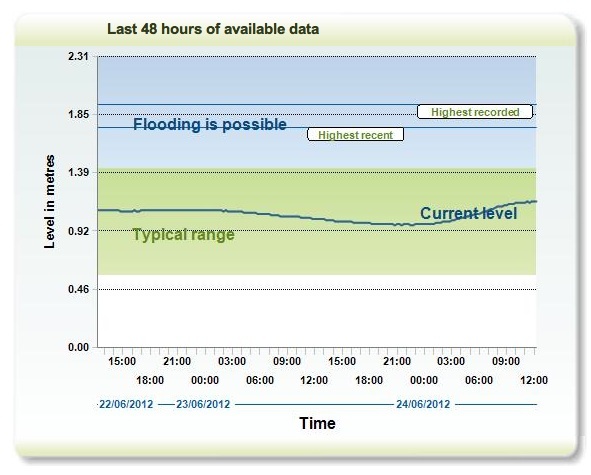 I arrived at the river on Sunday morning at 5.45 am to find it high but not too coloured. There was about 2' of visibility so i was quite optimistic. Within a few minutes the river had risen and was colouring fast! by 7.30am i had given up as the visibility was 2" at best. Poppy was confused as to why her regular Sunday walk had been cut short. I tried to re assure her by promising her a long walk this afternoon. I don't think she bought it as she's been in a funny mood since and won't give me any eye contact. 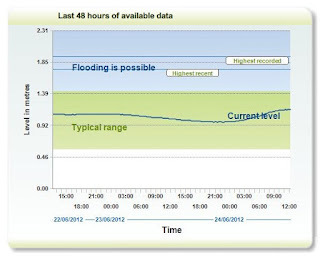 With any luck the river will be in good fishable order by the morning and i'll be back in Poppy's good books!